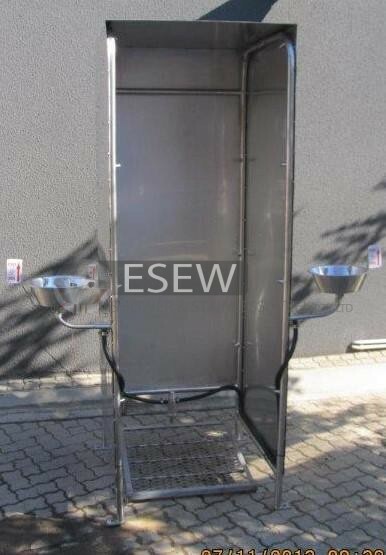 Emergency Showers - safety showers and eye wash station ESEW Shower & Stainless Steel Pty Ltd | Supply, repair and installation of emergency showers. 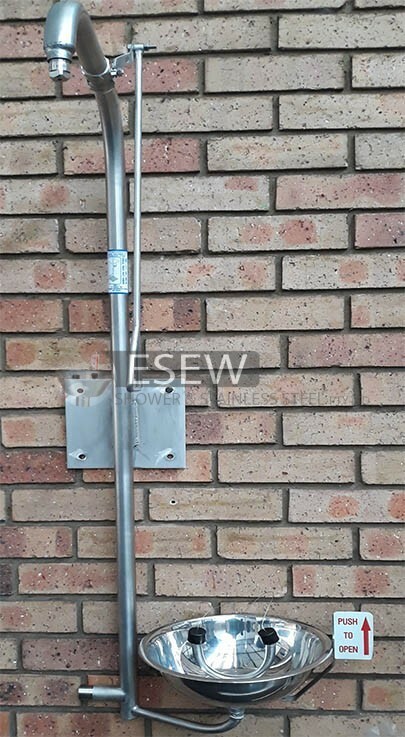 Contact a ESEW Shower and Stainless Steel consultant today – Simply click here to request a free quote! No industry, irrespective of its size or function, can afford to neglect the safety of its personnel. With increased technology, we can protect employees from injury as a result of contact with hazardous chemicals or fluids. SAFETY COMES FIRST! 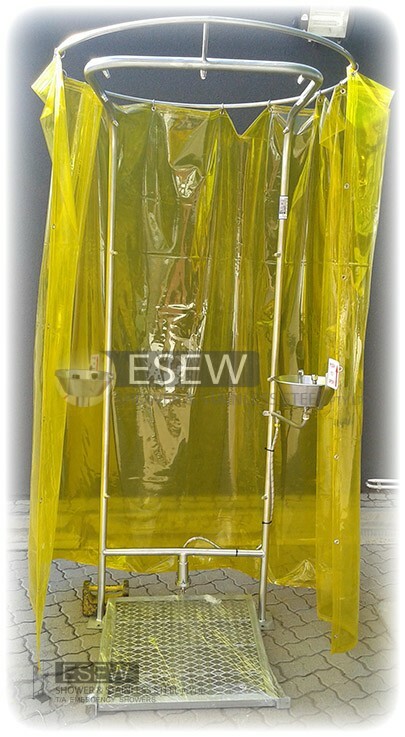 We are a local manufacturer that supply showers that comply with all international specifications and health and safety standards. We are committed in maintaining our leading position in the industry and to ensure attention to detail and to deliver excellent quality – we are the best in what we do! With us you us you would never have to choose between a good price and excellent quality. Safety always comes first. 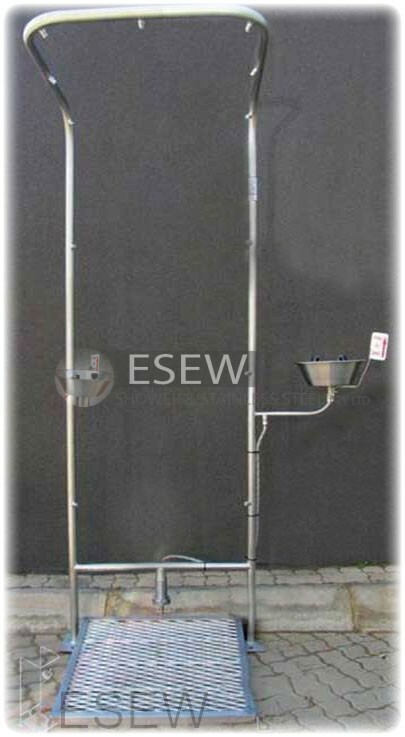 Our showers are made of international standard materials and come in Stainless Steel with grade 304 and 316. 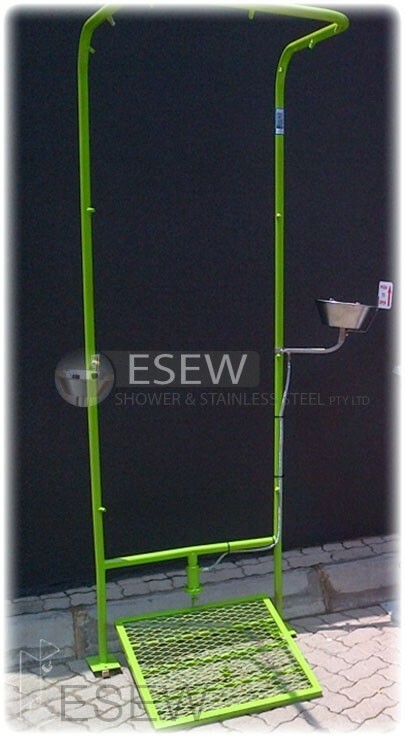 We also manufacture mild steel(epoxy coated) showers. We are committed in maintaining our leading position in the industry, to ensure attention to detail and to deliver excellent service.